Mount a plethora of Bowens S-mount light modifiers to your Boltzen 60W Fanless and 100W Fan LED Lights with this medium Bowens Mount Ring Adapter from CAME-TV. This is easily installed by removing the barndoors and dropping the adapter into place. Also, it features a screw to lock in any mounted accessories. 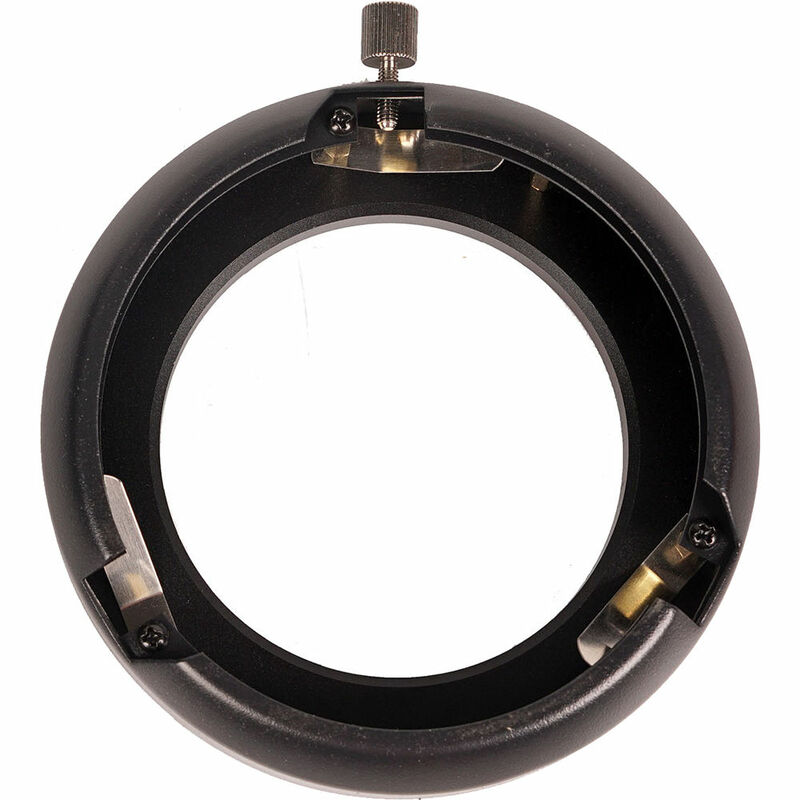 Box Dimensions (LxWxH) 6.7 x 6.6 x 2.7"
Bowens Mount Ring Adapter (Medium) is rated 4.0 out of 5 by 1. Rated 4 out of 5 by Donald from It works but... The adapter works and is relatively simple to attach to the lights. I'm not sure the lights are really built to handle a large modifier. I have a 36" Soft Box attached and it puts considerable strain on the light. Also, be aware when using this adapter there is considerable light leak. You'll need to use something (I use Black Cinefoil) to block the escaping light. It works in a pinch if you need to add a modifier.